This walk: 2011-6-23. Keble Martin's chapel, Huntingdon Warren Cross. 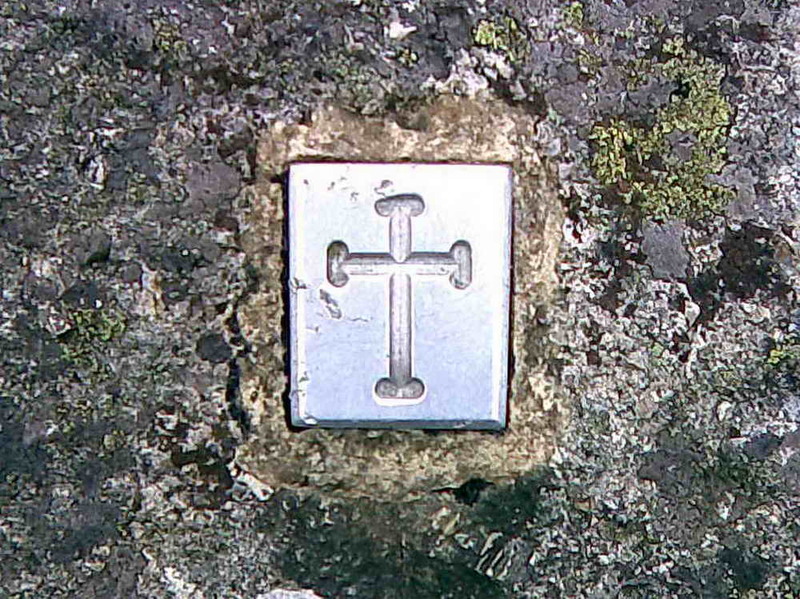 Unfortunately, I forgot to take my camera on this walk although a companion took a mobile phone photograph of the cross. During the walk, I cut the bracken at Keble Martin's chapel. . This photo was taken from the chapel: the cross is on the boulder on the sky-line at the left edge of the photo. The sycamore is only tree visible for miles! This walk can be reached by parking at Cross Furzes, SX 69888 66855, a small layby, which is not shown on the map and then walking to Lud Gate (SX 68398 67353). 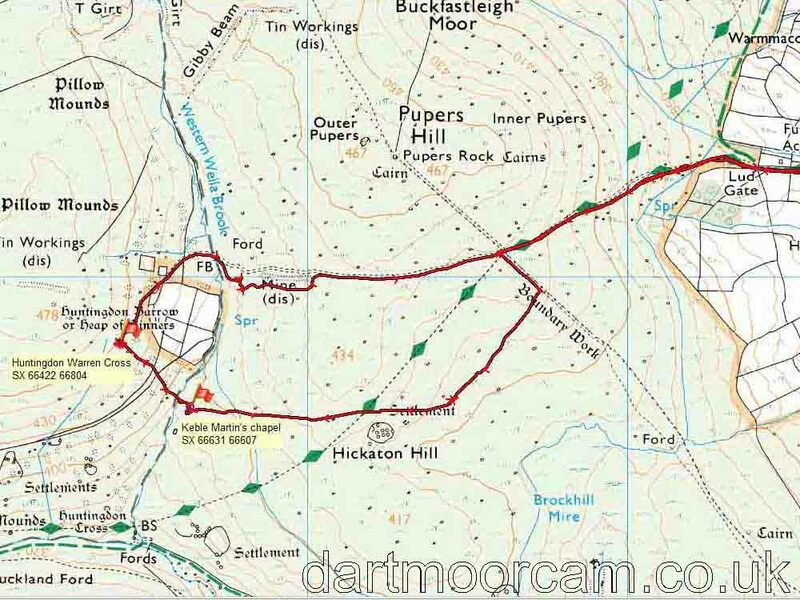 The area is reached by turning off the A38 at the Buckfastleigh exit (followed by three miles of narrow roads, from Halfmoon via Coxhill Cross and Wallaford Cross to Cross Furzes). Distance - 6.8 km / 4.24 miles (as indicated by the red track from Lud Gate) although it is farther from the parking place at Cross Furzes.